Original owner, with a freshly UPGRADED kitchen and 1st and 2nd level flooring plus a new roof and skylight, this is addition to EXCEPTIONALLY kept and cared for brick and cedar Williamsburg styled home with contemporary flair. 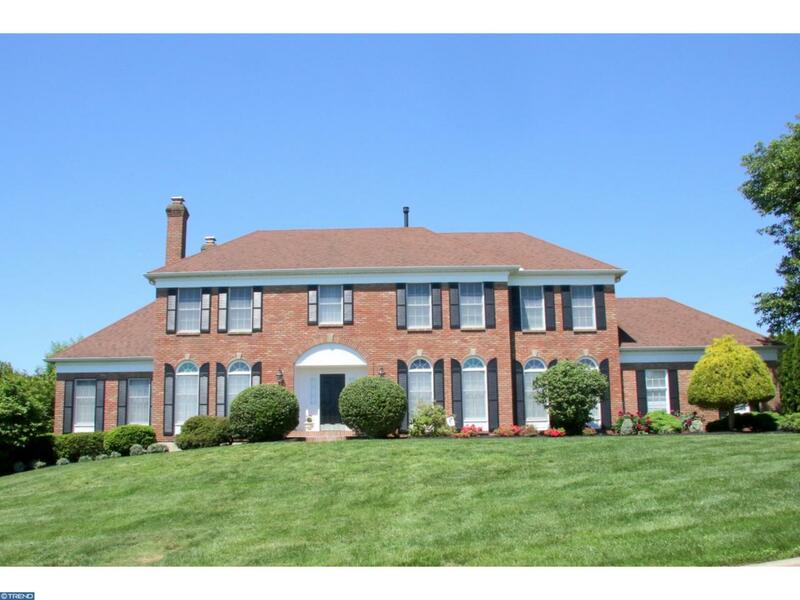 Found in Sanford Ridge , this home is in Toll Brothers premier Hockessin community. (list of recent upgrades to be found inside the house). Situated on PRIVATE CUL-DE-SAC with a PRIVATE 1/2 ACRE FLAT BACKYARD surrounded by trees, this home offers 4 large bedrooms, 3 1/2 baths, a 3 car garage, a 28 x 14' vaulted paneled Conservatory! A formal living room and dining room with crown moldings and chair railings, and a bonus first floor study and 2 masonry fireplaces. The UPGRADED KITCHEN with new granite countertops, a new refrigerator, new microwave, new self cleaning oven and a new gas cooktop has a large vaulted Breakfast room opening to the backyard deck, The Breakfast room and Family room both have new doors opening to the deck and flat private back yard. NEW HARDWOOD FLOORING complete the first level. NEW CARPETING on the second level leads you to the Main Suite with a large Sitting room, and enormous his and hers closet,and a powder room area adjacent to the 5 piece tiled bath with Jacuzzi and stall shower. AND as a SPECIAL BUYER BONUS there is offered a NEW ROOF with transferable warranty and new main bath skylight .Three other good sized bedrooms with a full bath complete the second level. The full basement has a 3rd full bath. ..If you want a Quality,and Well Cared for home on a Private Cul de Sac with a private flat backyard in an upscale community, come and visit 8 Foxview Circle and make it yours. Immediate Occupancy possible!